International travel and volunteering abroad offers an array of benefits. After a decade of organising projects to Fiji, one benefit that has stood out for us and become abundantly clear is that international travel and volunteering abroad helps people find their why. We wanted to delve into this topic and illustrate the opportunities for personal development and self-awareness when people put themselves in challenging environments and have the opportunity to look within to discover what drives and motivates them. Not all international travel is created equal when it comes to finding your why but this is something we’ve wholeheartedly tried to nurture and foster in our expeditions. We want our volunteers to get as much out of the experience as possible, and for it to be a catalyst for future opportunities and personal growth. The concept of finding your why was popularised and championed by Simon Sinek. His viral Ted talk shed light on how people and organisations can benefit by finding their why. This helps find clarity, meaning, and fulfilment. But this concept extends far beyond business and organisations – it is also incredibly powerful for students and younger people to identify who they are and what they what to get out of life. We’re all different, we’re all unique, so its about celebrating what makes us who we are and ensuring we understand this sooner rather than later so we can have a more fulfilling and impactful life. As mentioned, we think this concept of finding your why goes well beyond business and is in fact incredibly valuable for students too. If students can find their why then they can set themselves up for an incredibly meaningful and fulfilling life. But how exactly can students find their why? For us, finding your why is about opening yourself up – opening yourself up to new experiences, ideas, cultures, and concepts so you understand what is out there and where you fit into it all. You’ll discover what you enjoy, what you don’t enjoy, what you could achieve and what motivates you. Although this could be done in any context, what better platform to reveal such findings than with international travel! With the world as your playground, you can open yourself up to anything and embark on the ultimate adventure into personal development and self-learning. They adopt local cultures, traditions and lifestyles – embracing new ways of life and new ways of thinking. 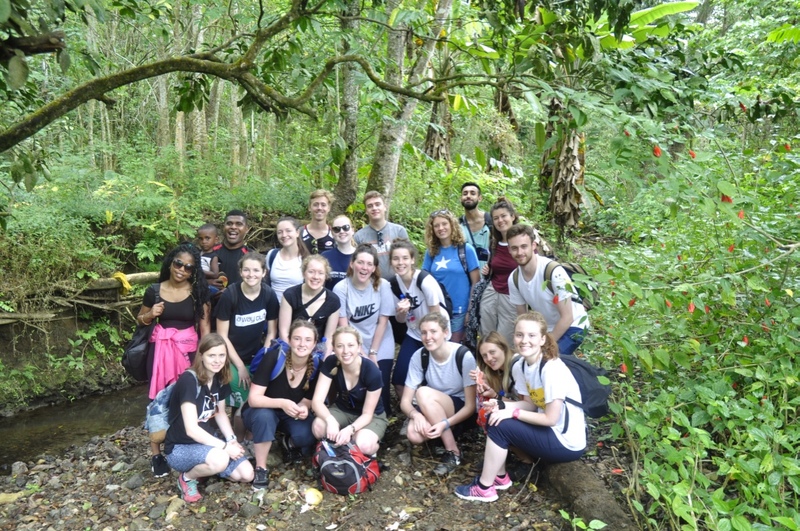 From teaching in schools, to coaching sports, to simply engaging with local villagers – the whole expedition opens students up to an array of new experiences. These experiences help develop key core skills as well as shaping how we see ourselves. If you’d like to learn more about Think Pacific, get in touch today or download our brochure to discover what our expeditions involve.